Several owners of large blogs (500 posts and up) are reporting problems with indexing, in Blogger Help Forum: Get Help with an Issue. I have over 2500 posts, in my blog. Each sitemap page, which should contain 500 posts, shows only 150 posts. This reduces my indexed posts tremendously! This blog owner did nothing to cause this problem. 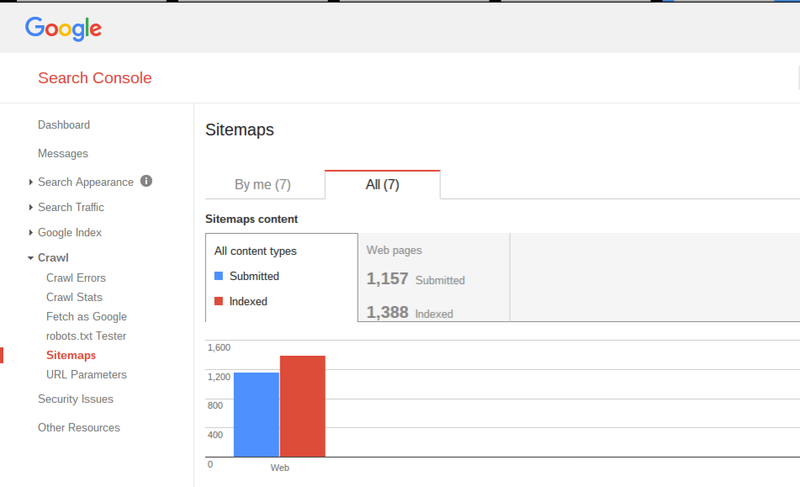 Right now, sitemaps for blogs with over 500 posts - and a paged sitemap - are missing significant amounts of content. The problem affects blogs using the classic sitemap, and the new sitemap. Large blogs cannot be properly indexed, with the sitemaps containing only 150 entries, instead of 500 entries, per page. 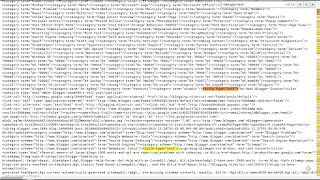 Both blogs which use the classic blog feed based sitemap, and blogs which use the new Blogger generated sitemap, appear to be equally affected. 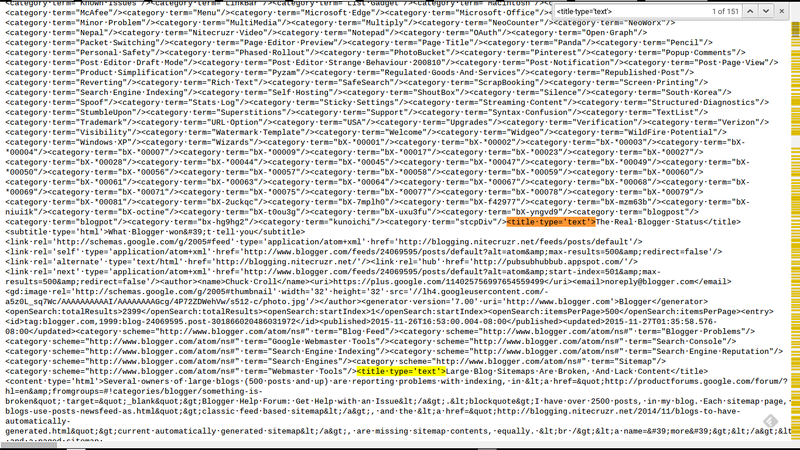 The problem appears to involved both blogs published to BlogSpot, and to custom domains. The effects of the problem can be easily seen, in Search Console reports. The problem can be observed in the Search Console - Crawl - Sitemaps displays, where the owner will notice a significantly smaller number of indexed posts. Examine the pages in the sitemap. 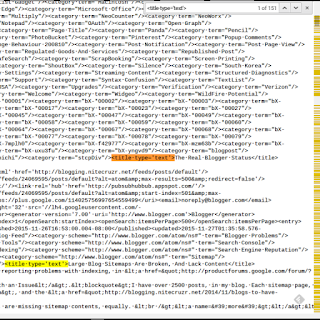 Or, you may examine the blog posts newsfeed sitemap, using a text browser. Then, search for "<title·type='text'>". Load a "500 posts" feed segment, in a text browser. Right now, you'll get 151 hits - 1 for the blog, 150 for 150 posts. That's 150 posts, out of 500. What is that doing, to the blog reputation? This blog has just under 2,400 posts published. Right now, Search Console shows 1,157 Submitted, with 1,388 Indexed. This blog has just under 2,400 published posts. 1,157 submitted is a significant drop. Blogs with more than 2,500 posts (and a fully populated sitemap) are similarly affected. This is a significant impact, on traffic to large blogs. With the sitemap capable of hosting 2,500 posts for submission and indexing, this is a significant drop in indexing - and probably, in search engine reputation. The problem has been reported to Blogger Support. If your blog is affected, and you wish to state the URL of your blog here, I will pass it on to Blogger. (Update 11/28 1:00): Blogger Engineering is now offering a Blogger generated sitemap ("sitemap.xml"), with up to 20 pages of 150 entries / page. 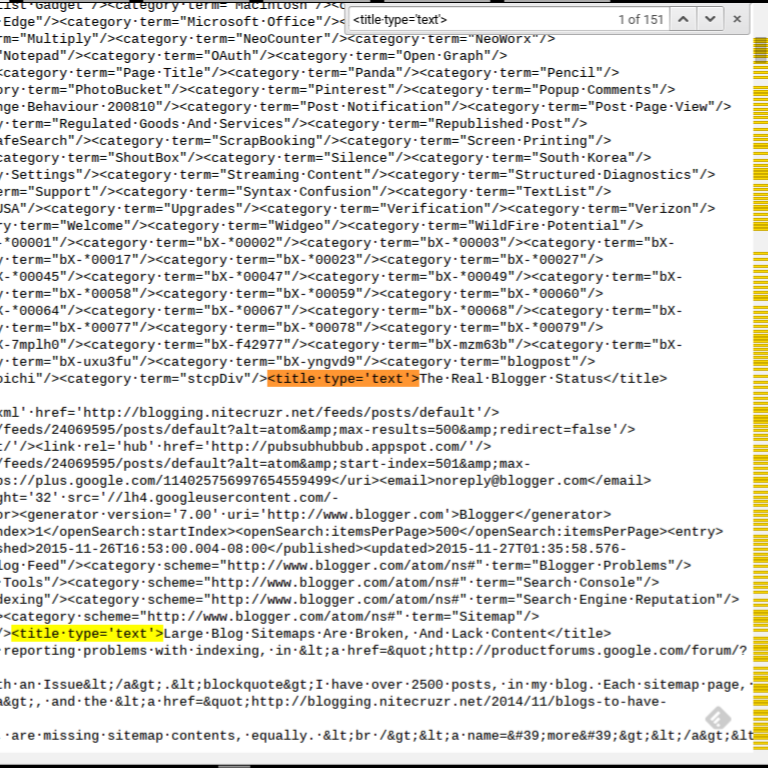 People using sitemaps based on blog feeds may have to add sitemaps, if feed segments are limited to 150 posts / segment. Problem found. We're preparing a fix. We're not using the feeds to generate a sitemap, but we have over 10K posts organized by label, and the feeds for each label are cutting off after 150 posts. I've noticed as well but figured it was something I had done. If your blog is over 3,000 posts, it appears that you will need more sitemaps, yes. That is a rather harsh workaround, no?